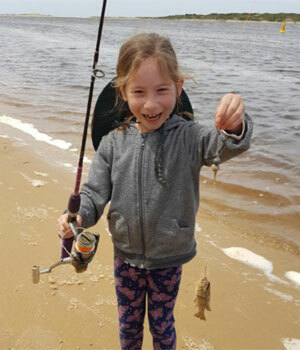 Extracurricular activities form an important part of the school program at Orbost Primary for all grade levels. 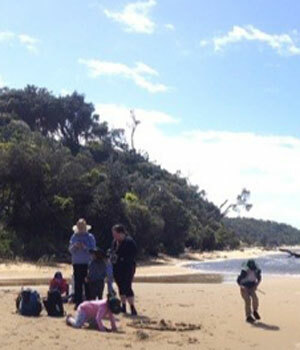 Students take part in many activities outside the classroom to develop important social and personal skills. Each term we have a cultural presentation through the Arts Council which exposes our students to other forms of music, dance and cultures. Students also have the opportunity to participate in other areas of the Arts through our School Production, Community Choir, and performances funded by the Arts Council. 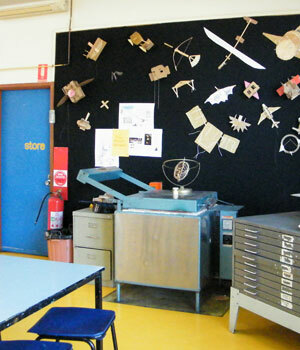 Students have access to private music lessons through Orbost Secondary College. From Foundation to Grade 6, students have the opportunity to take on a leadership role. Click here to go to the Leadership Page for information about our range of Leadership opportunities. As a school we participate in Local, State, National and International celebratory days. 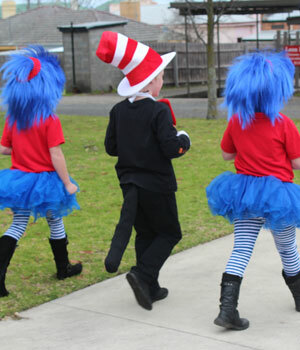 Each year the book fair is set up at school to promote reading and to provide an opportunity for families to buy new books. Children have the chance to browse the books and make up a 'wish list' of their favourites. Parents are encouraged to come in to look at the books with their children. 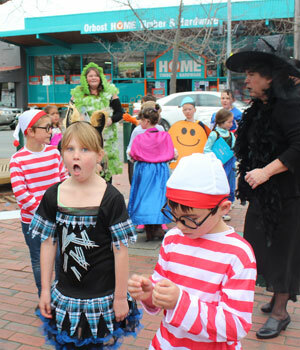 Extra Curricular activities form an important part of the school program at Orbost Primary for all grade levels. Parent help is often a crucial element in running these extra-curricular experiences successfully. If you have any particular skills and/or interests that may be relevant to any of the above mentioned activities (or any others) please contact your child’s grade teacher to discuss with them. The school has a fleet of 12 bikes used for Grade 2-4 students. These can be used for camps, lunchtime activities and bike education lessons. Many students ride to school and there is ample bike parking available. The school participates in 'Ride to School' Day to promote active transport and safety in the local community. The school has access to the community garden just a bit further down Ruskin St. Classes may use the garden to learn about science as well as sustainable land use. 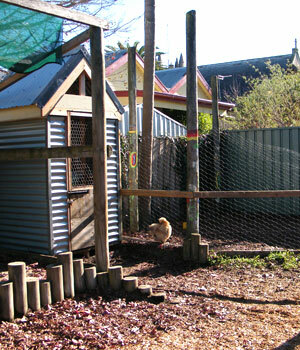 We also have chooks at school that use up all our food scraps from the classrooms. Children learn how to care for the animals and collect the eggs as needed. 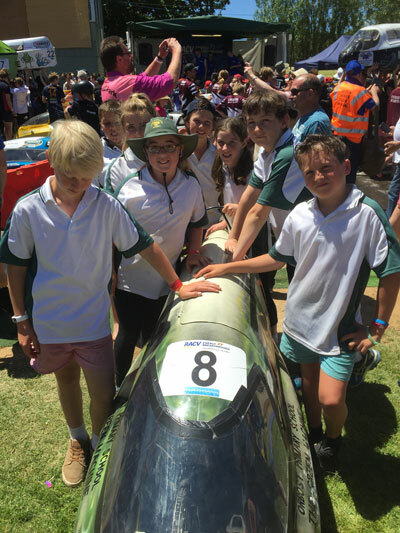 The school owns a HPV and takes part in the RACV Energy Breakthrough in Maryborough. This event involves participating in a 14 hour endurance trial as a team as well as developing knowledge of the vehicle and sustainable transport. We are fortunate to have our own school library and encourage students to use it to borrow. 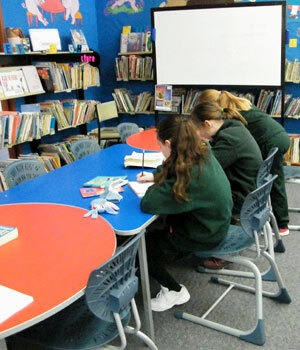 Students have a weekly libray session during school time and it is also open for students to use during specific lunchtimes. Ashton Scholastic Book Club materials, ‘Wombat’, ‘Lucky’, and ‘Arrow’, are sent home on a regular basis. A selection of the current books available for sale in these book clubs is displayed outside the library. ‘Earlybird’ and ‘Puffin’ book club materials are also forwarded home on a regular basis. The school offers literacy intervention for students who need it. Currently we have a trained teacher working with students individually or in pairs using an evidence based phonics approach to improve reading. 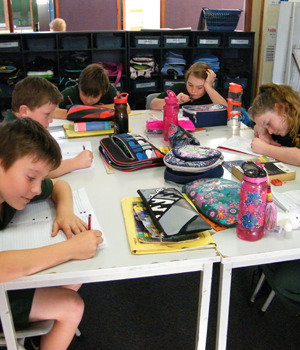 Students are identified by their class teacher and the literacy co-ordinator and have 3 sessions per week in the program. The school employs a number of Education Support staff who provide assistance to students funded under the DET Program for Students with Disabilities. We look at ways to ensure that all students are included in all aspects of the school program and seek funding through the PSD system where possible. The school offers after school care until 6pm each weeknight during term and vacation care between 8am and 6pm during term holidays. Contact Kassandra on 0409953175 for bookings and enrolments.